By Judann Pollack . Published on January 22, 2019. Generation Alpha isn't kidding around. 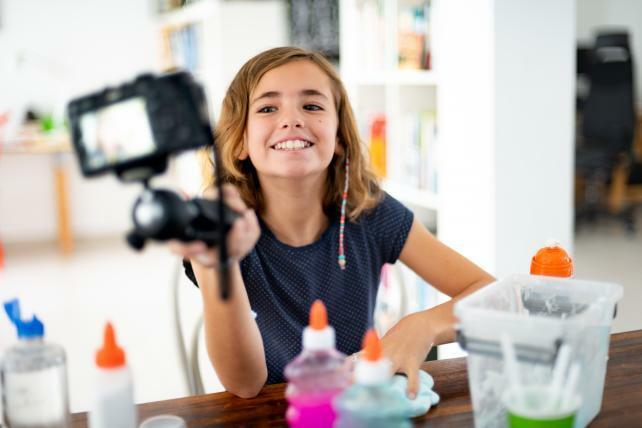 A child influencer can earn, per post, $100 for every 1,000 followers, and a kid with 500,000 followers can earn $5,000 for a single image, Fast Company estimates. Seems like these 10 influencers are on their way to paying for college. The highest-paid YouTube star, according to Forbes, is Ryan of Ryan ToysReview, who it estimates earned $22 million in the year ending June 2018. He has 17.8 million followers on YouTube, and they watch Ryan tinker with everything from Legos to Disney-branded toys to Play-Doh. Mini fashionista Fashion_Laerta has an Instagram following of 1.1 million, and has been featured in Vogue and Harper's Bazaar, according to her page. The siblings have 67,700 followers on Instagram. Stella has appeared in ads for H&M Kids, Converse and Hershey's Kisses, among others. Blaise has been in ads for Gap Kids, Zulily, Aldi and more. Hailey's Magical Playhouse for Kids includes reviews and the unboxing of toys for her 1.5 million YouTube followers. Various news sites have estimated the channel's earnings at north of $1.5 million. The twins are masters of marketing: Their YouTube page describes them as "a positive lifestyle brand." Their channel has 1.1 million subscribers who tune in to watch them debate topics like "Are we arguing?" and "Who's the boss?" They have 1.6 million followers on Instagram. Meghan Markle, move over. Coco Pink Princess, who rocks fashions from Tokyo, has 678,000 Instagram followers and was featured in Elle last year. The magazine said she "is very much in charge of her image. She selects from multiple options before a photo is posted and adjusts color balances to her liking." At an age when many learn to use the toilet, Mila Stauffer is delivering hilarious video monologues on subjects like motherhood and gym culture. She and her twin sister Emma have 4 million followers on an Instagram account run by their mom, Katie. Touted by USA Today as "National Geographic's youngest photographer," Hawkeye Huey has been taking pictures since the age of 4 and has 204,000 Instagram followers. The son of Nat Geo shooter Aaron Huey, Hawkeye published his own book of photography in 2016. #ad @HawkeyeHuey has spent his whole life traveling to National Parks, from Yellowstone to Joshua Tree and the Grand Canyon. Yesterday we were at @ACE_Brand's 100th anniversary event in New York City, encouraging families to get outside during National Get Outdoors Month! Hawkeye photographed himself with a buffalo, dogs posing infront of Bryce Canyon, and people experiencing our National Parks for the first time through the help of virtual reality! We forget sometimes that many people have never been to a National Park, or gone hiking or camping! So get out there this month, and don't forget to be prepared!!! A half-dozen siblings—Alyssa, David, Zac, Chris, Michael and Owen—form the Family Fun Pack, who have some 7.7 million YouTube subscribers tuning in to watch them cavort in costumes, engage in rainy-day activities and more. The site lists the children's sizes in case marketers want to send them clothes to feature. The Aussie model, who has toddled the runway at New York Fashion Week, has some 235,000 followers on Instagram. Her mom, Schye Fox, told the Daily Mail that Millie-Belle's tastes run more pedestrian. Her daughter "rips off her designer clothes and pops on chainstore clothing the minute we are home or finish a shoot," she said. All the Gucci 🤣... 😱 #gucci #givenchy #dolceandgabbana NEW SEASON @alexandalexacom . . Erm... See the new season Gucci high tops! With bees. Best ever. ❤️ . . CORRECTION: an earlier version of this article stated that Ryan of Ryan ToysReview is 8 years old; Ryan is 7. Judann Pollack (Judy) is executive editor of Ad Age. 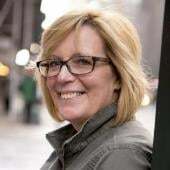 She joined Ad Age in 1985 as editorial assistant, along the way fielding pretty much every position on the masthead, including reporter, Chicago bureau chief, New York bureau chief, features editor, executive editor and managing editor-international.